If you have a OLE/COM component (dll or ocx) and you want to write documentation for it, then ComDoc is the tool for you. ComDoc will use the component itself for building the structure of the documentation and can also make use of the descriptions that are part of the component. 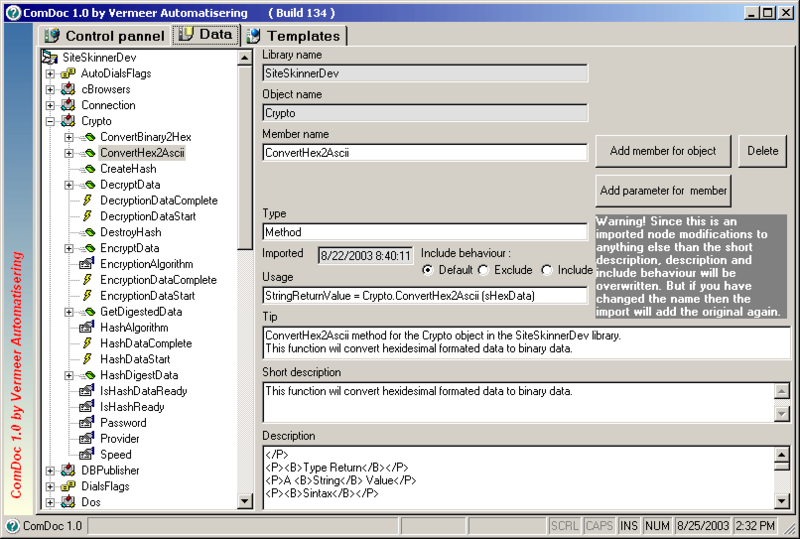 For the publication ComDoc uses the DBPublisher object. Because all the publications are based on templates the outcome is 100% customizable. You can download a 6.1MB installable file by clicking here and the source code from here.